We all had an exciting and busy December period at The Yard. All our young adventurers got to take part in lots of festive activities including Christmas crafts, ice skating and many of our clubs held their own Christmas parties. We also held our very popular Christmas parties across Dundee, Fife and in Edinburgh due to the high demand we had three parties over two days. With 60 children attending each party, the playteam came up with lots of different activities including face painting, snowball fights (using paper as snowballs) and our amazing Santa’s grotto which has now been a feature of The Yard’s Christmas party for years. 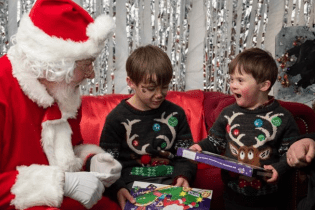 All of the children that entered the Grotto get to meet Santa and receive a selection box as a present, kindly donated by local companies in Edinburgh. Our Santa this year even learnt Sign-a-long so that he could communicate with our non-verbal young adventurers. After all the excitement of December all our young adventurers are settling back into routine and our services and clubs have resumed as normal. 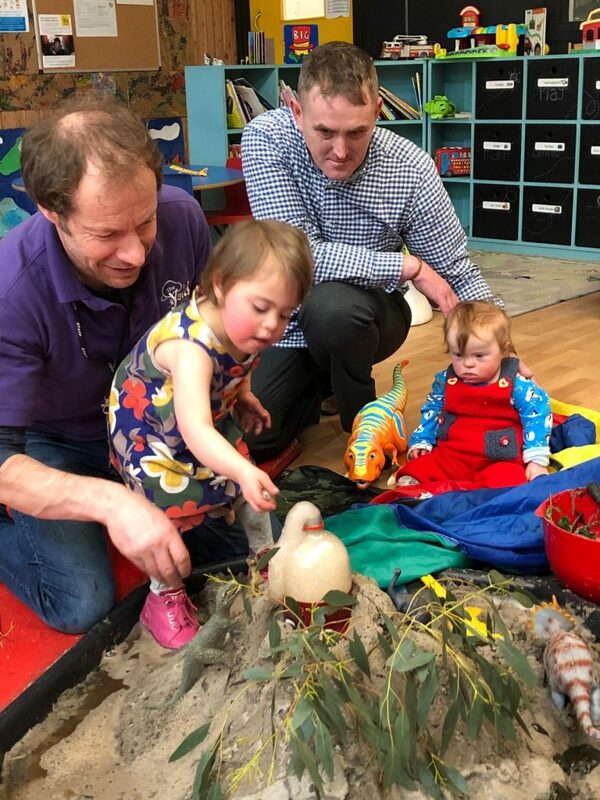 This month, our clubs have been enjoying a number of activities including dinosaur activities, our early years even made their own volcano. All the children helped make the volcano out of sand from the sandpit outside and then with the giant bottle of Coca-Cola as the volcano, they loved dropping the Mentos in and watching the volcano fizz up over the top! Our favourite time of the month is at the end of January, Burns Night! We love getting ready for Burns night and our activities usually involve some ceilidh dancing, haggis and a lot of mess! This week at family session we are even hosting our very own mini Highland Games. I wonder who will be crowned The Yard’s Scottish Highland Games Champion?